BOSCOVILLE (Gazette) — By the way, this is Mardi Gras weekend in New Orleans. 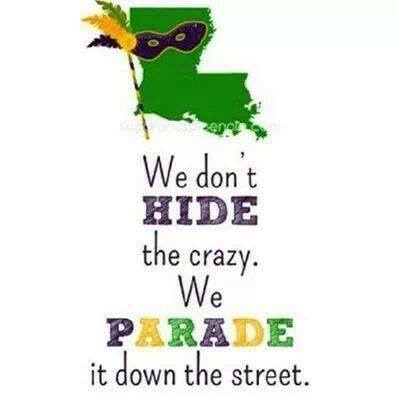 The best of the parades and the best of the Balls are this weekend… culminating in Fat Tuesday. I am worn down tonight; but I am going to kick things back off in the morning. Yes, this picture is becoming one of my favorites. I need to find this poster and hang it on my wall. WHERE CAN I FIND THIS POSTER?? I want it. I just read something that reminded me that the OSCARS are tonight. I might come back online later and list my choices before the broadcast. Coach Monty Williams of the New Orleans Pelicans needs to be fired. This team has been in last place of their division for the last three years. Does owner Tom Benson have his head stuck up his buttockal area?